Not fluent in error codes? No problem. 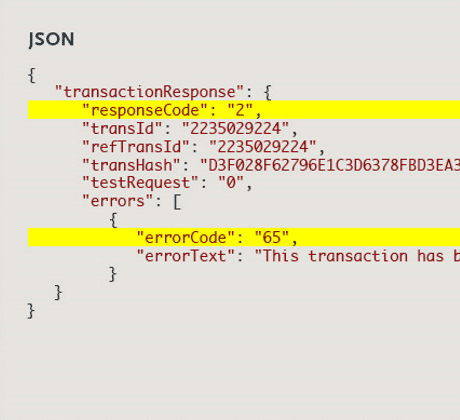 Just enter the Response Reason Code you're receiving from the Authorize.Net Payment Gateway and allow us to translate. Or download the latest version of the response codes and suggestions. 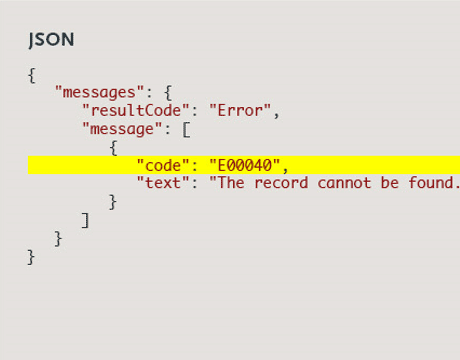 These are the top level response codes that will give a high level indicator of the status of the API request. NOTE: This code may be informational, beginning with a "1" prefix, e.g. "100004". 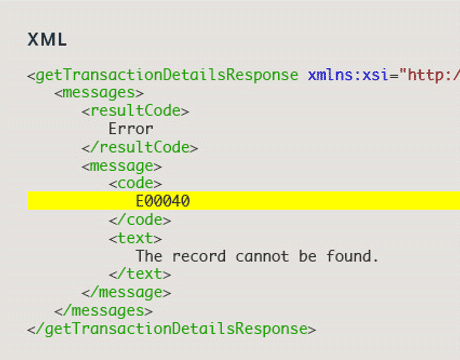 For payment transactions there is an additonal level of response codes which provide detailed information about the status of the payment request. 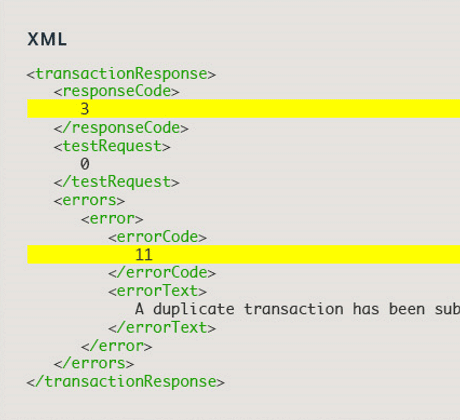 NOTE: The transaction ResponseCode is a high-level indicator of the result of the transaction (e.g. accepted, declined, held for review). The errors list will give more detailed information regarding the payment request.